This mod allows you to slow down the time in MCPE so that you feel like Neo. This effect slows down the time by about half and at any time you can turn this option off or on. The Slow Motion mod can be useful to you when you are in a difficult situation and there is little time left. Everything that happens around you will be slowed down and occurs until you deactivate it. How to use Slow Motion? Start the game and click the button at the bottom right of the screen. After that time slows down as well as you. 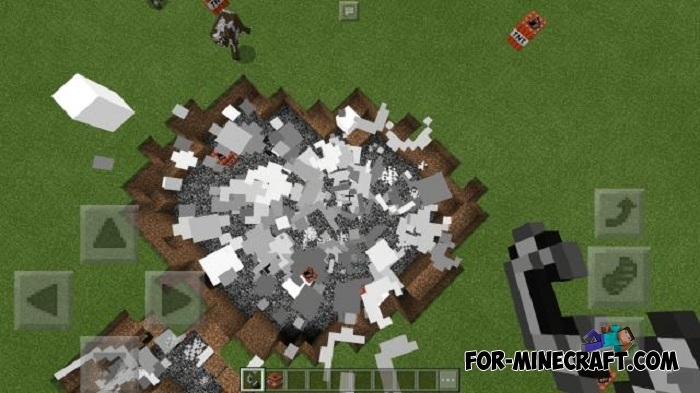 Your speed is commensurable with the speed of mobs, but thanks to this mod you will have extra time to make the right decision in different situations. The Matrix Shader pack and the Neo skin will transform the game into a matrix where you are the main character. Bikini Bottom city for Minecraft PE 0.17.0Maybe you like Bikini Bottom ported to Minecraft PE?